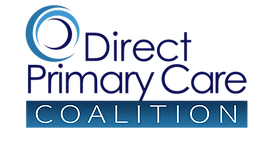 JULY 21, 2014 – After 25 years as a fee-for-service Family Practice physician in private practice I have made the change to a Direct Primary Care model. I have been envisioning this model for the past 10 years and seriously planning for the conversion over the past 2 years. As I have been discussing this new model with my existing patients, it has become increasingly apparent that in order for patients to accept and be educated about Direct Primary Care there also needs to be an unlearning of conventional fee-for-service insurance medicine.